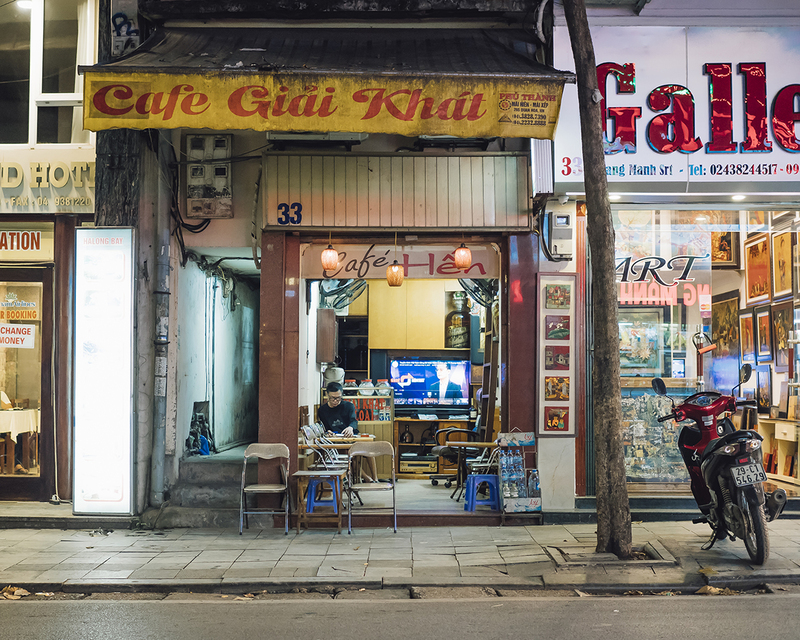 One trip to Việt Nam down and I was ready for the crazy awesomeness – her frenzied pace mixed with grime, yet still a total babe. My parents though – they were in complete awe. Mesmerized by the fast-paced energy from the nonstop hustle and grind. 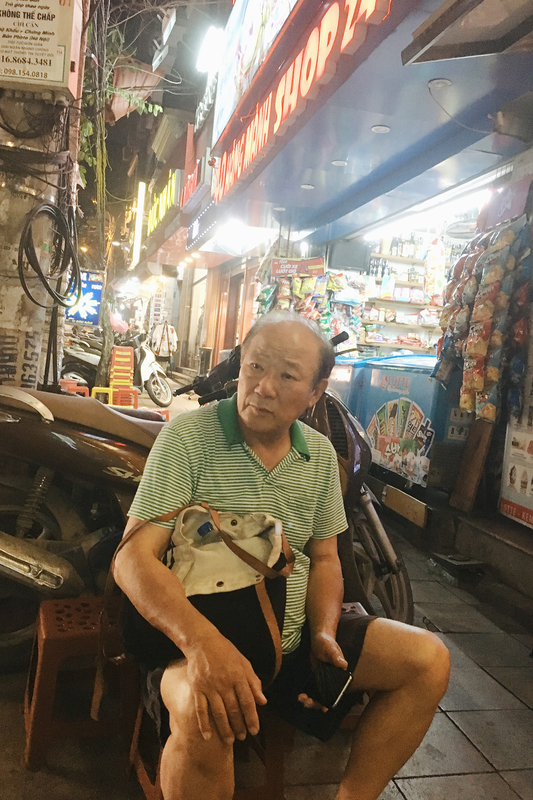 Hypnotized by the constant flood of scooters, and when they’d break free, my father would call ‘em out like an auctioneer perfectin’ his chant. A scooter with cages full of chickens stacked 3-4 high. Another transporting two calves! A family of four complete with a mother holdin’ her months-old baby tight. An older man hauling a mile-high stack of metal scraps. INSANITY. 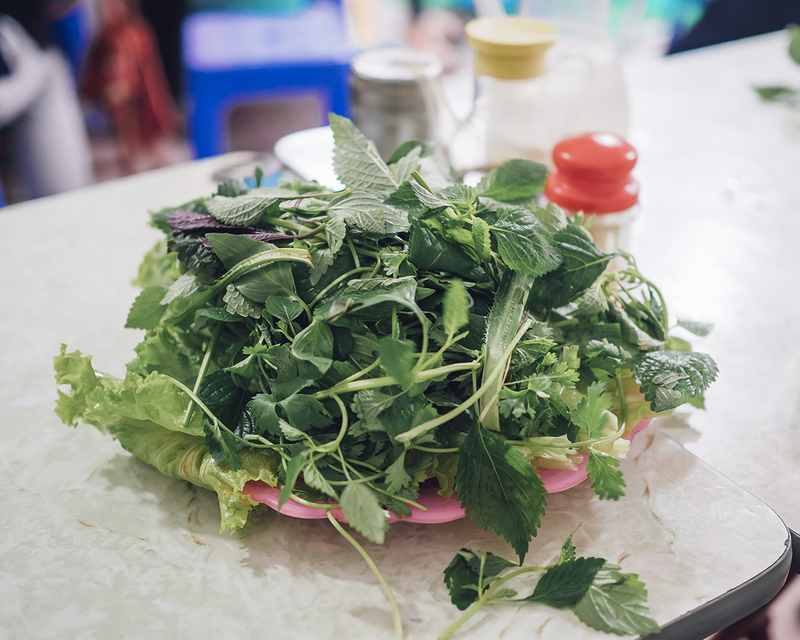 In Hanoi, we followed the intense smells that punched the air and savored the flavors exploding in our mouth… We grubbed on Hanoi-style phở with a side of vinegar-soaked chiles. 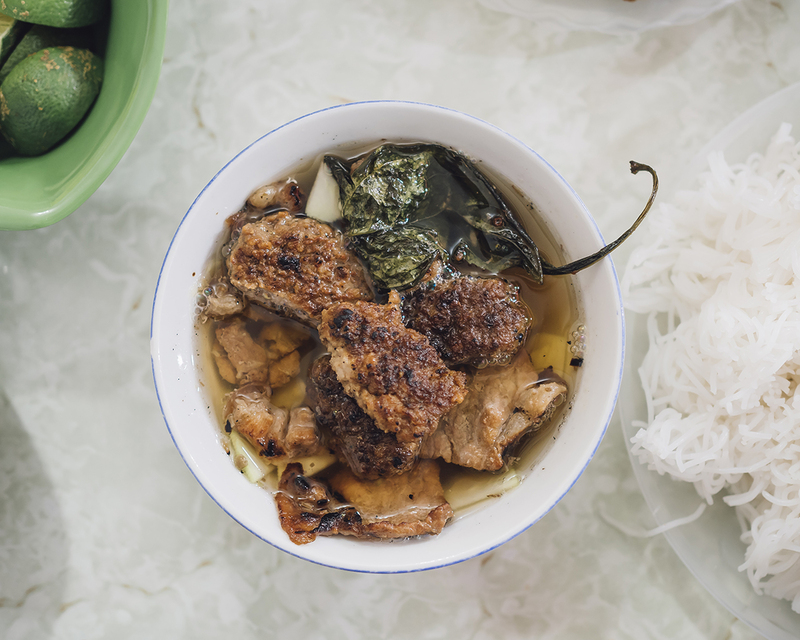 Totally different than the typical southern-style phở found everywhere in the States. 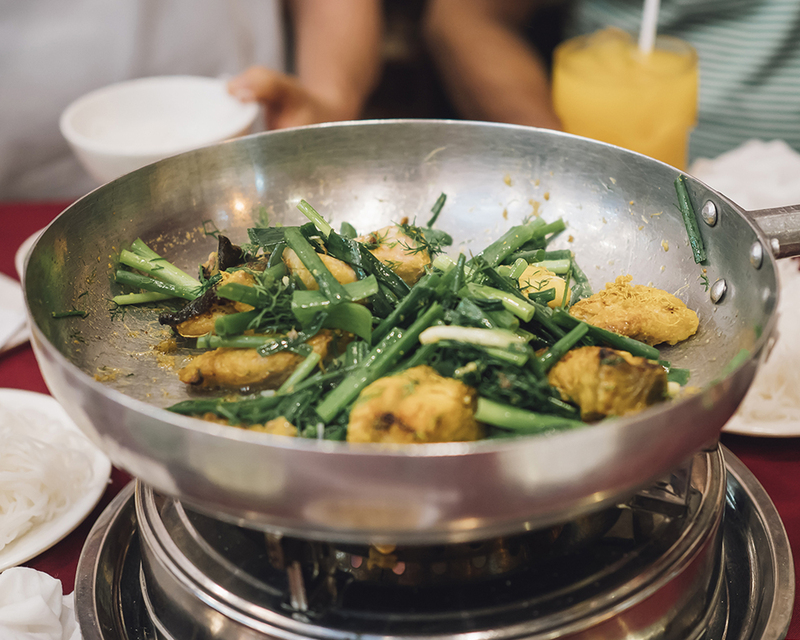 We devoured massive piles of bún chả (grilled pork with rice noodles) with a side of nem cua bể (deep-fried crab rolls). 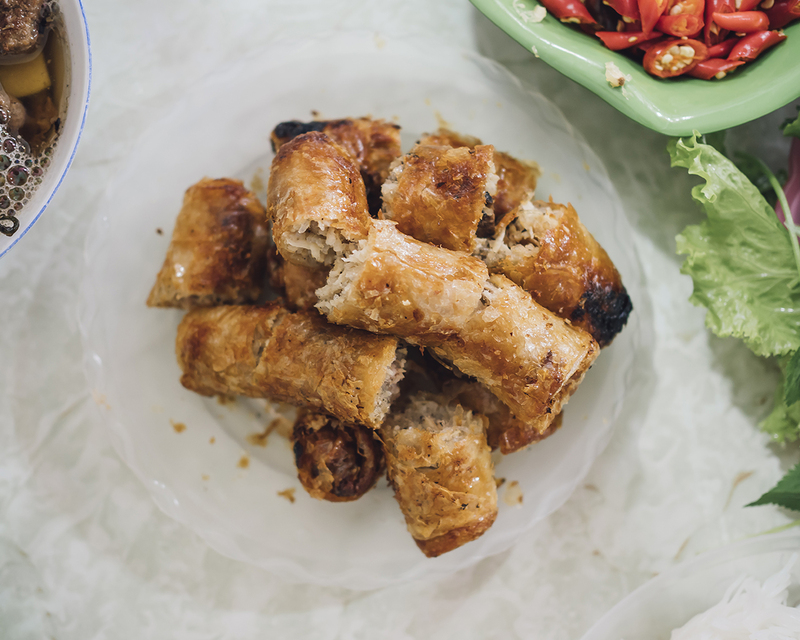 It always tastes better in Việt Nam – the pork is smokier, the crab rolls crispier. And my M’THR F’IN FAVE Hanoi dish?! Chả cá lã vọng. OMFG the turmeric and dill spiced catfish is da bomb. And despite the constant chaos that surrounded us, we managed to move slow without missin’ a beat. When the heat and the noise of our first long day seemed to die down, we stopped at a cute cafe for one last iced Vietnamese coffee. We got comfortable on plastic stools, and when I looked up – what did I see? Cafe Hên. Okay – not exactly "hen" but it didn’t matter. It was a big hi-five guaranteein’ that the sourcing trip would be amazin’. It was here where my father pointed to a storefront across the street. We watched a man with a pole hook pullin’ down merchandise, getting ready to shut for the night. Tears in his eyes and barely able to get the words out, he explained that that was our life before we moved to America. Working and living in the same tiny space – slavin’ away just to get by. It’s nothing like the ideal work-from-home life that people rock today. Another reminder that I’m livin’ the American Dream. That image of a chicken runnin’ around with its head cut off? I totally get it. Day in and day out, how do you survive the intense, nonstop churning of a city that never quits? 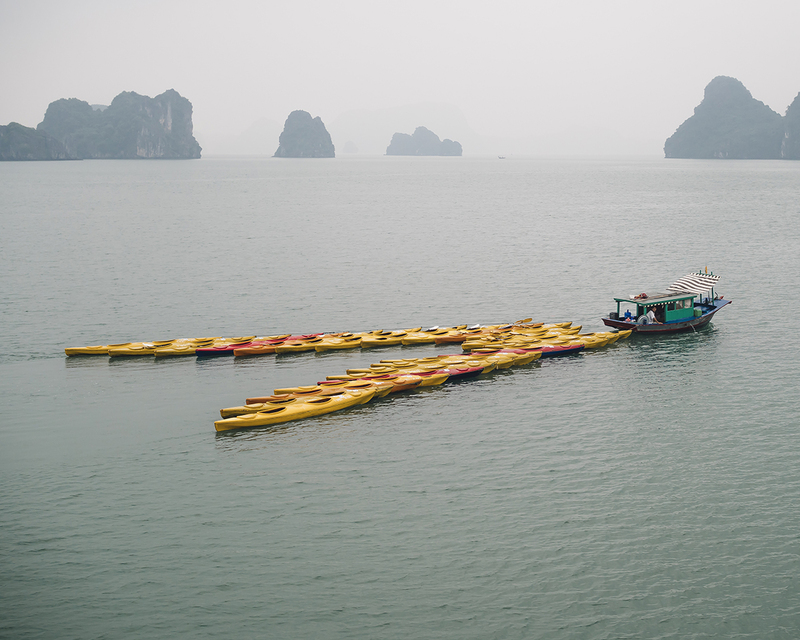 Việt Nam is finding yourself when you're floating in the sea of madness (even if it's not as obvious as seeing your damn name across the street!). It’s controlled chaos that pulls you close and to survive, you gotta lean in and move with the flow. And when you do, you’ll be smack in the middle of sensory-overload magic. Going gà gà.